6 years ago this week I began the insanely arduous task of studying for the Bar Exam. It was, in a word, miserable. The endless hours of reviewing, sample multiple choice questions, hour-long freak-outs, practice essays, and BarBri workshops tried my patience–and my sanity. And yet, somehow I made it through that endless summer in 2006. I took the exam and spent the next several months wondering and worrying about what I did wrong (because in my mind during that time I was certain I did nothing right). The reason I survived was my family. They put up with my absolute worst qualities. I complained constantly, demanded the house stay air-conditioned in Riverside 24/7 (to this day my father has never revealed those electric bills to me–he has the strength of 10 men), insisted that everyone remain SILENT downstairs while I studied, and much more. Yet, through it all, they remained supportive and never wavered. Each night when I came home from Bar Prep class, there it would be: a hot meal ready for me to scarf down, with barely a muttering of a thank you, and off to my room to work. I am so unbelievably blessed. My family did everything for me. I don’t remember having to worry about one thing during those months. I know so many people who do not have that luxury and I always wondered, could I ever repay them? They would shake their heads and say things like “don’t be silly, your success is payment enough” (sweet), or “it wasn’t that bad” (lie), or even the sight of my 63-year old father breaking down and crying when the computer read “the above name appears on the Bar Pass List” (so touching it will never disappear from my memory). So, as my off-the-charts smart girlfriend prepares to take on life’s hardest written examination, I knew I needed to pay it forward. Meals like this are a small, but an oh-so-foundational part of remaining steadfast in preparing for the mother of all tests. I only hope that I am half the person that my mom, dad, and brother were during those difficult times. I am so lucky that Christina handles stress with a calmness to be rivaled and an amazing sense of humor. So, without further adieu: THE FOOD! Combine all ingredients for the marinade in a large, non-reactive bowl and whisk. Add tuna steaks and flip to coat in marinade. Cover with plastic rap and chill in refrigerator for 2 hours. After 2 hours, flip steaks and chill for 2 more hours. Remove marinated tuna steaks from refrigerator and place sesame seeds on a large plate. Heat a large cast-iron skillet or grill pan on high heat. Place tuna steaks on sesame seeds and gently pat, then flip the steaks and do the same so the tuna is coated in the seeds. 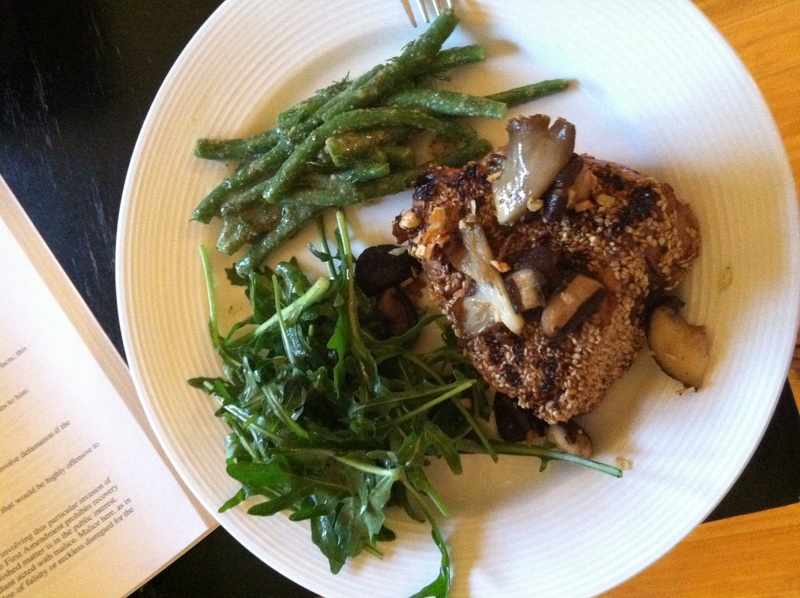 Place tuna steaks on hot pan, reduce heat to medium and sear for 5 minutes. Flip steaks and sear for another 5 minutes on opposite side, until tuna steaks are slightly rare in the middle. Heat butter and olive oil in saute pan over medium heat until crackling. Add mushrooms and season with salt and pepper. Cook until mushrooms are tender (5-10mins). Add garlic and cook for another 2-3 minutes until garlic is JUST crispy. Serve atop tuna steaks. Combine all ingredients for dressing except for the olive oil in a small bowl and whisk together. Slowly whisk in the olive oil. Season with salt and pepper to taste. Toss with arugula. The best part: all veggies (dill, green beans, mushrooms, arugula) were purchased from local, organic vendors at the San Diego Hillcrest Farmer’s Market! The tuna steaks received a green Sustainability Rating from Whole Foods market! We love being healthy and delicious at the same time! Well the wedding of the century has finally come to an end. I’m talking, of course, about my brother’s wedding to my new sister-in-law, Anna. About a month ago I offered to do a pre-wedding party for all those who were participating in the wedding either as a member of the wedding party, or the readers, MCs, etc. As I began to plan the menu, think about the party, I relied on my life guru Ina Garten and was so pleasantly surprised by the results! So one thing Ina always vigorously advocates is to plan ahead and to “have fun” at your own party. Quite a concept! Well, I decided to make two dips, chicken skewers, and various veggies and chips. Also, this evening was also my dear friend Aimee’s 30th birthday, so, naturally, I had to do a chocolate cake (the cake is featured below). Politeness aside, the dips were a huge hit. The party started at 8, so it was a nice post-dinner menu. My usual taste-tester girlfriend Christina loved the herb dip. In fact, I was concerned there would be none left as the night before she kept sneaking “tastes” in the refrigerator! Robby’s Comments – This is the third time I’ve made this dip. The first time it was entirely TOO salty. It was fine if it was on potatoes, but that was it. The second time I made it, I cult the salt down to just a pinch (maybe a 1/4 teaspoon). The second time was at a family dinner party, and my now sister-in-law was in love with it. However, my brother liked it, but thought the green onions made the chunky consistency a bit odd. Some people love green onions, but not everyone loves chunks of green onion. So, this time, I took all of the herbs, gave them a rough chop, and then threw them into a mini-cup food processor and pulsed until all of the herbs were finely chopped. Perfection! This was now an amazing dip, with all of the incredible flavors, without the awkwardness of the chunkier green onions. Robby’s Comments – This dip was good, but it needed augmentation. I doubled the amount of sun-dried tomatoes (either mine weren’t strong, or this was meant as a weak recipe) and doubled the hot sauce. Also, I made this a day ahead of time and the flavor was so much better after it sat in the refrigerator overnight. This was the hit among the party guests, although Christina and my brother preferred the herb dip, as did my mom when she tried the two the next day. This dip went very well with the potato chips. I personally thought the carrots and celery went better with the herb dip. A lot of intense flavors in this dip (but not too spicy)–highly recommended! Also, I don’t have a large enough food processor, so I processed the scallions and tomatoes, and then used the stand mixer with a paddle attachment to blend. Worked just fine. Robby’s Comments – Comments first are necessary here for explanation and a word of caution. This was a blend of recipes of sorts. I had previously made Ina’s Tequila Lime Chicken on its own and thought it would be great on skewers. It was and it wasn’t. Next time I will use chicken breast chunks or stir-fry chicken pieces. If you got an end piece then the flavor was phenomenal, but if you didn’t, then the flavor wasn’t as good. No one pointed out the inconsistency, but I noticed it, as did my brother when I asked his thoughts. If I do this next time, I also won’t marinate overnight, maybe just a few hours. I also added zucchini and onions that I roasted with olive oil, salt and pepper on the skewers. They were good, but the onions were difficult because I chopped them too small and shrinkage resulted! Nevertheless, this chicken recipe is great for a chicken breast, but if you make skewers, be sure to pre-cut the chicken or get stir-fry pieces. During the test-run, I followed the recipe to the letter and the cakes collapsed in the center. I read reviews online and suggestions poured in to use a 9-inch pan, so that’s what I did the day of. The result: collapsed AGAIN!! Very frustrating and nothing a little frosting couldn’t fix, but still irritating. I plan to re-test this recipe again and cut down the baking soda (as it does seem a bit high) and will post an update then. I also will do an oven temperature check as well. I want this recipe right, because the flavor is just too good to let levening get in the way of a great cake. Add the egg yolk and vanilla and continue beating for 3 minutes. Turn the mixer to low, gradually add the confectioners’ sugar, then beat at medium speed, scraping down the bowl as necessary, until smooth and creamy. Dissolve the coffee powder in 2 teaspoons of the hottest tap water. 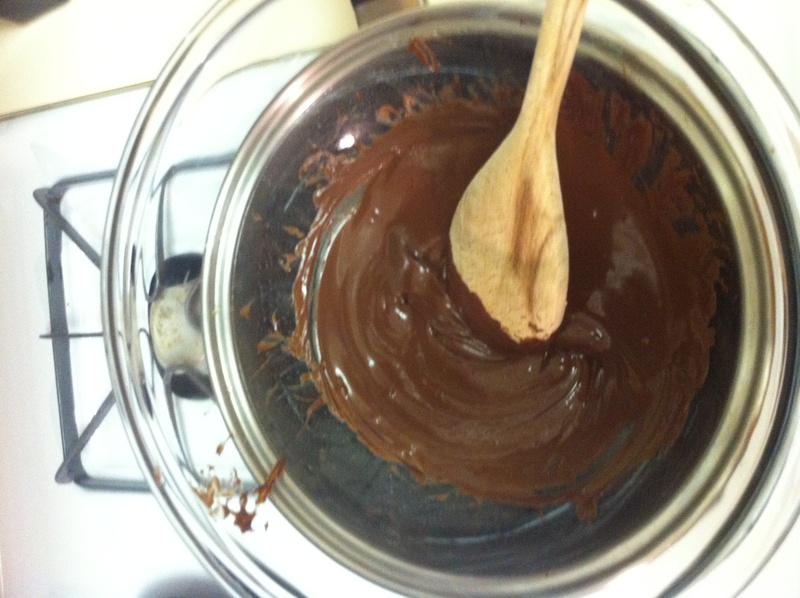 On low speed, add the chocolate and coffee to the butter mixture and mix until blended. Don’t whip! Spread immediately on the cooled cake. 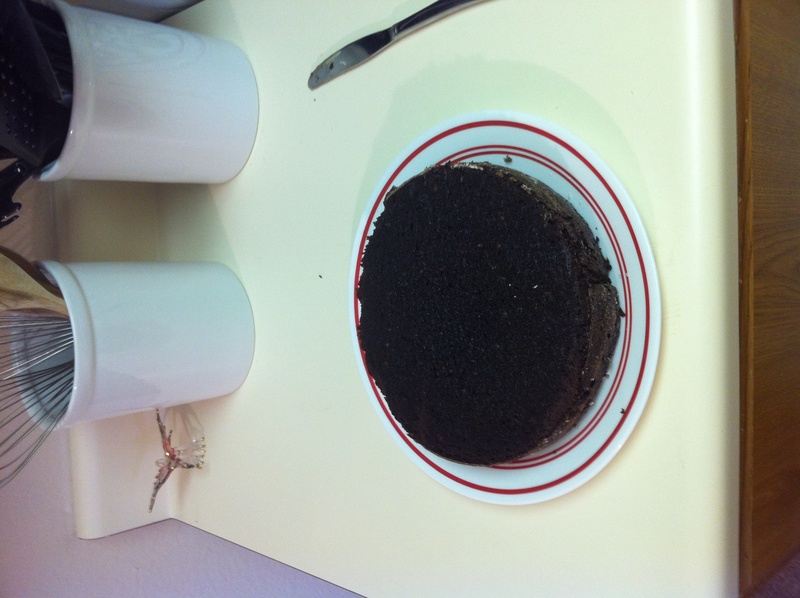 Robby’s Comments – The coffee in the frosting was a bit overwhelming during the test, so I reduced it by half and it was much better (I liked it the first time, but I’m a coffee addict). The only change I made in this recipe was the filling. I love strawberry filling in chocolate cake, as well as raspberries. So, since my friend Aimee prefers raspberries and it’s her birthday cake, I made raspberry curd to go in the middle. It was a hit! And it cut the intensity of a VERY chocolate cake. In a small sauce pan, combined all of the ingredients and slowly bring to a boil over medium-high heat (keep stirring until thickened for best results). Let cool completely before spreading onto cake. Robby’s Comments – I blended the raspberry and lemon juice mixture after it heated for awhile, but before adding cornstarch. I also refrigerated the mixture overnight to allow it to congeal. The result was great! So, at Ina’s suggestion, I prepped everything ahead of time AND changed the way I normally do cocktails. 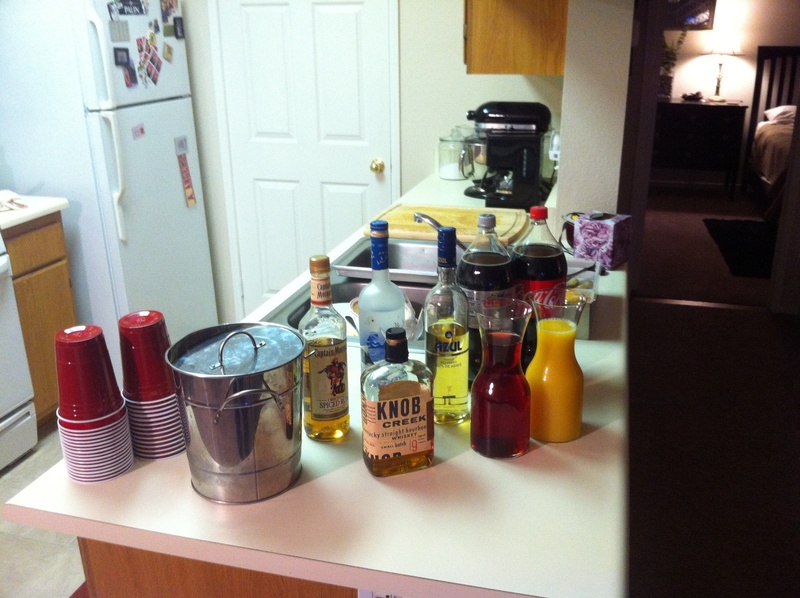 In the past, I’ve become a bartender. Running back-and-forth to the fridge, fishing out liquor from the cabinet, accommodating any and all tastes and strange desires. This time, I followed the advice of the guru and put out the 4 major liquors (tequila, vodka, rum, and whisky). My cousin loaned me her mini ice bucket and I filled carafes with orange juice and cranberry juice, along with various sodas. I chopped up limes, oranges, and put out green olives and maraschino cherries into a bar caddy thing my cousin also lent me. I put it all out as you see above and LEFT IT ALONE. I didn’t tend bar and didn’t need to. Everyone loved the “build-your-own” cocktail and the cocktail station was the major conversation area of the party! I advise everyone to take this approach. Everyone knows their basic likes and dislikes and this will help the host have a great time, without being worked into a frenzy. 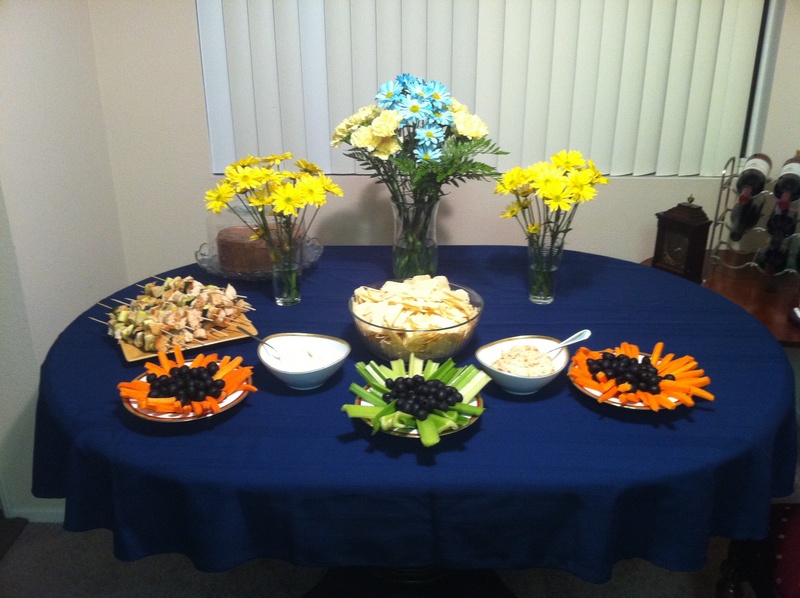 The party was a blast and, best of all, I had fun and didn’t have to stand in the kitchen throughout the night. I was thrilled to have given the wedding party a chance to kick up their heels and enjoy Ryan and Anna’s last night as singles. The wedding the next day was great and I was so honored to have helped that along in my own way! Congrats to the happy couple! Tonight, I had planned to BBQ, but save that for another night due to an immediate change of plans. So, I ventured into the surprisingly simple and so very je ne sais quoi. We ventured to the heart of the French countryside. I must admit, France and French food has a special place for me. Every so often in life we have a life-changing experience. Stepping off of Le Metro at Trocadero, turning left and walking a few hundred feet and seeing the Eiffel Tower peek from behind a building was a moment like that. I will never forget it–how thrilled I was to be there and experiencing that culture. The French are simple. Life is day -to-day, not four steps down the road. The important things are a good glass of wine with lunch (yes! Lunch! ), strolling along the Champs-Elysees, and watching passers-by while eating a late dinner. It’s about experiencing life, not just being in it. It is something I have found myself unable to do, but the Parisian streets made me attempt to do that more often. 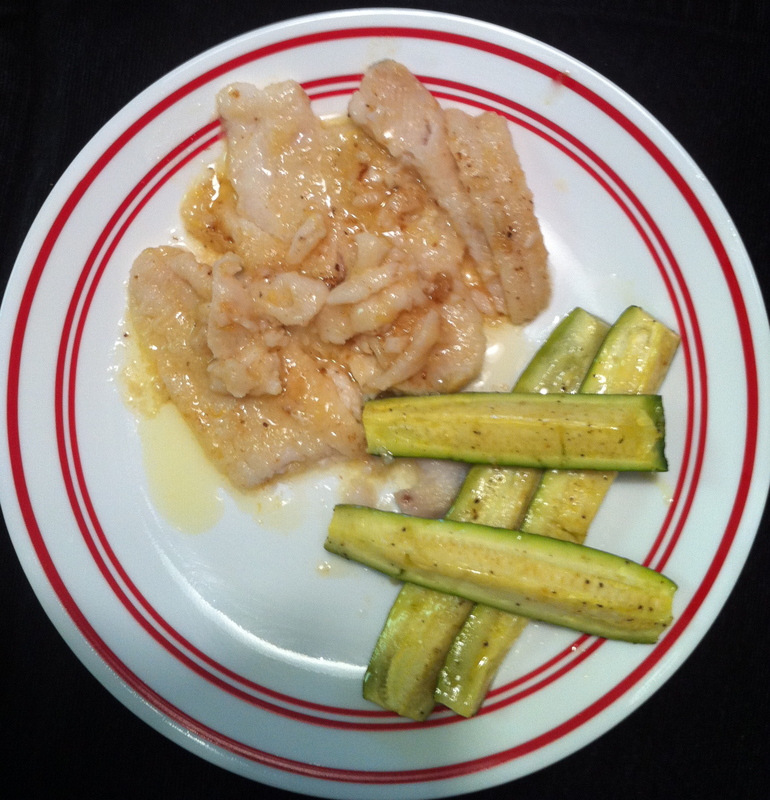 So to the food – I made Sole Meuniere (pronounced munn-yerr). I first saw this dish on (hold your shock) The Barefoot Contessa. (I know, you’re stunned!) This is a classically simple dish. Heat 3 tablespoons of butter in a large (12-inch) saute pan over medium heat until it starts to brown. Dredge 2 sole fillets in the seasoned flour on both sides and place them in the hot butter. Lower the heat to medium-low and cook for 2 minutes. Turn carefully with a metal spatula and cook for 2 minutes on the other side. While the second side cooks, add 1/2 teaspoon of lemon zest and 3 tablespoons of lemon juice to the pan. Carefully put the fish filets on the ovenproof plates and pour the sauce over them. Keep the cooked fillets warm in the oven while you repeat the process with the remaining 2 fillets. When they’re done, add the cooked fillets to the plates in the oven. Sprinkle with the parsley, salt, and pepper and serve immediately. Robby’s Comments – One thing I will say about the recipe, stick to the precise measurements of the lemon juice (3 tablespoons per serving), NOT three lemons. The first dish (which Christina was not-so-lucky to get) I used “half” of the lemon juice from three lemons and WOW was that tart. The second dish (mine–I promise I only ate second to be polite, not to eat the perfected dish), I used exactly three tablespoons. Much better! Lemony and buttery, but not so overpowering that you couldn’t taste the sole. Tres bien! 3 zucchinis, cut in half, then quartered length-wise. Topped with olive oil, kosher salt, freshly cracked pepper, tossed. Into a 450 degree oven for 10 minutes (8 minutes if you like your veggies firmer). There is something amazing about roasted veggies. Growing up we ate them sauteed or steamed, which is good, don’t get me wrong. But when veggies are roasted in olive oil at a high temperature, they take on a great flavor. After watching Ina (yeah, we’re on a first name basis), I began roasting veggies to see why it was her default option. Now I know–it opens up the vegetables and gives them a truly fantastic flavor. So before I post the recipe, I feel it necessary to add some history (since tradition and cooking are sort of what this blog is all about). You see, Clafoutis is a dish from the Limousin provence in France. It originated from the 19th century and is a very mild dish. It is fruit placed on a buttered and sugared dish, covered with a batter that, when baked, becomes golden brown like a pancake on top and custardy beneath. In researching this, I realized that I (and the illustrious Barefoot Contessa) committed a horrible faux-pas. This is not a clafoutis at all. In fact, it is SUPPOSED to be called a Flaugnarde. Traditionally, clafoutis is made from cherries, and cherries alone. That’s it. No cherries, no Clafoutis. In fact, the cherries are to be cooked pits and all. (Apparently, the pits give the batter a great flavor according to the French. I’ll have to take their word for it) If this dish is made with any other fruit at all, it is to be called a Flaugnarde. Regardless, whatever the right name is, it’s amazing. It’s even better once the custard sits and has a chance to cool. Now, the suspense ends and onto the recipe! Butter a 10 by 3 by 1 1⁄2-inch round baking dish and sprinkle the bottom and sides with 1 tablespoon of the granulated sugar. Beat the eggs and the 1⁄3 cup of granulated sugar in the bowl of an electric mixer fitted with the paddle attachment on medium-high speed until light and fluffy, about 3 minutes. On low speed, mix in the flour, cream, vanilla extract, lemon zest, salt, and pear brandy. Set aside for 10 minutes. Meanwhile, peel, quarter, core, and slice the pears. Arrange the slices in a single layer, slightly fanned out, in the baking dish. 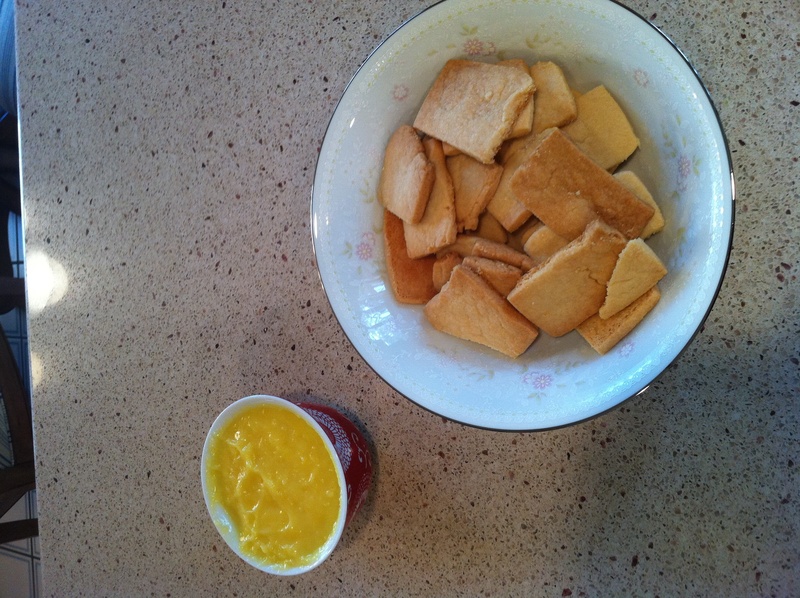 Pour the batter over the pears and bake until the top is golden brown and the custard is firm, 35 to 40 minutes. 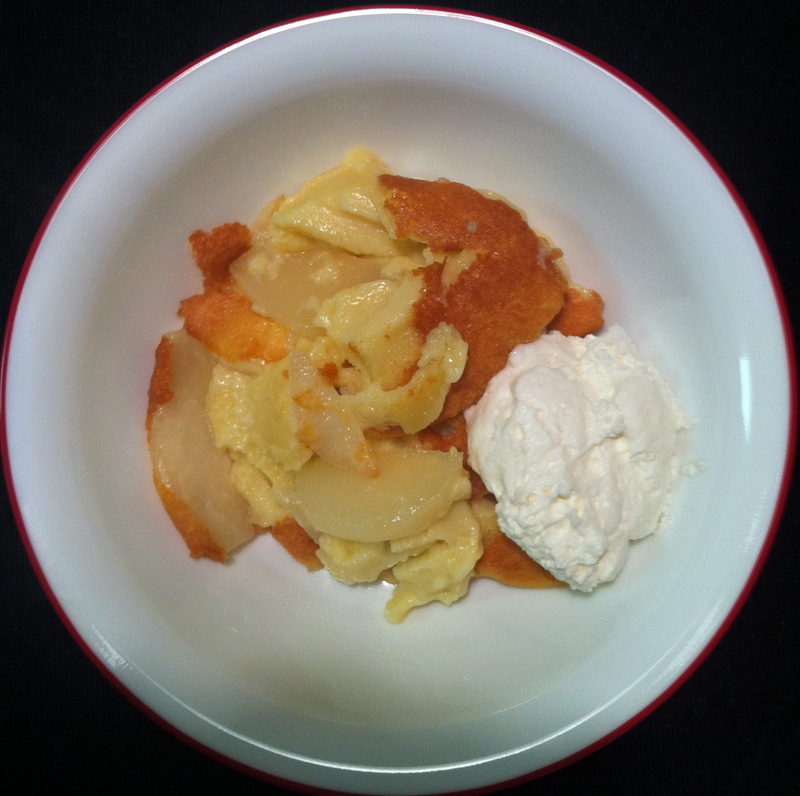 Serve warm or at room temperature, sprinkled with confectioners’ sugar, and creme fraiche. Robby’s Comments – I used regular Brandy. Part of the reason Brandy is part of this recipe I surmise is that the Limousin region is famous for its cognac (yeah yeah I know cognac is different from Brandy, but you get my point). The Brandy worked perfectly, and I have no complaints. So no need to rush out for Pear Brandy and drop 7 Hamiltons on a bottle. Also, remember that Devonshire cream from the Mother’s Day Tea? 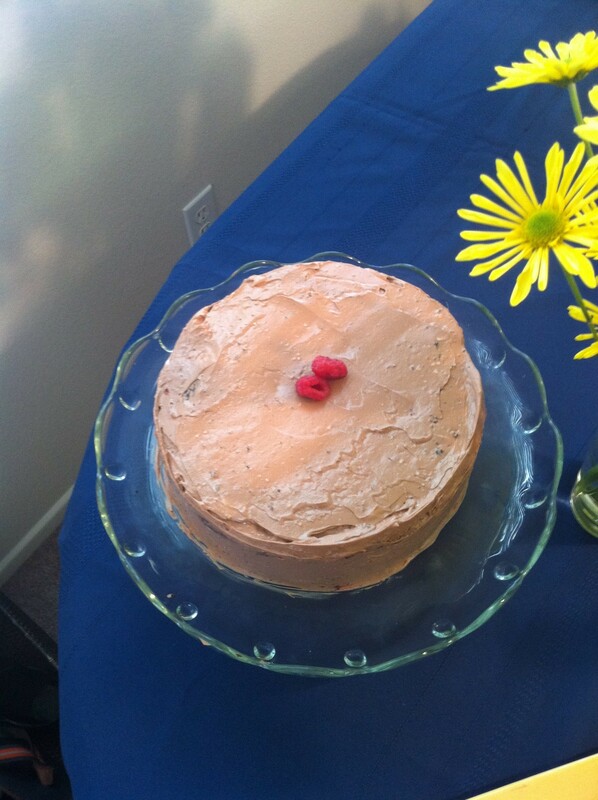 (Well, if ya don’t here you go… https://culinarycounsel.wordpress.com/2011/05/08/mothers-day-tea/). I just topped this off with that cream and it was heaven!! I strongly encourage you to try this fantastic set of recipes. This was a journey to the heart of the French countryside and, as with so many moments in cooking, this meal will leave you feeling warm and comforted in the simplistic foods that are so very French. So this Mother’s Day, I decided to go about as far back as my roots would take me. I went back to my maternal roots–all the way back to England. 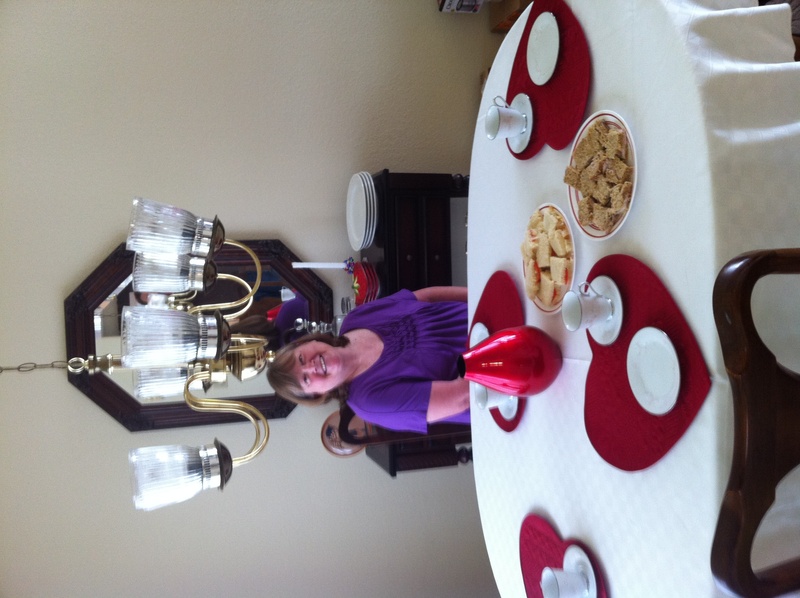 My mom has always said she wanted to have a traditional tea. So, what better way than to bring the tea to her! 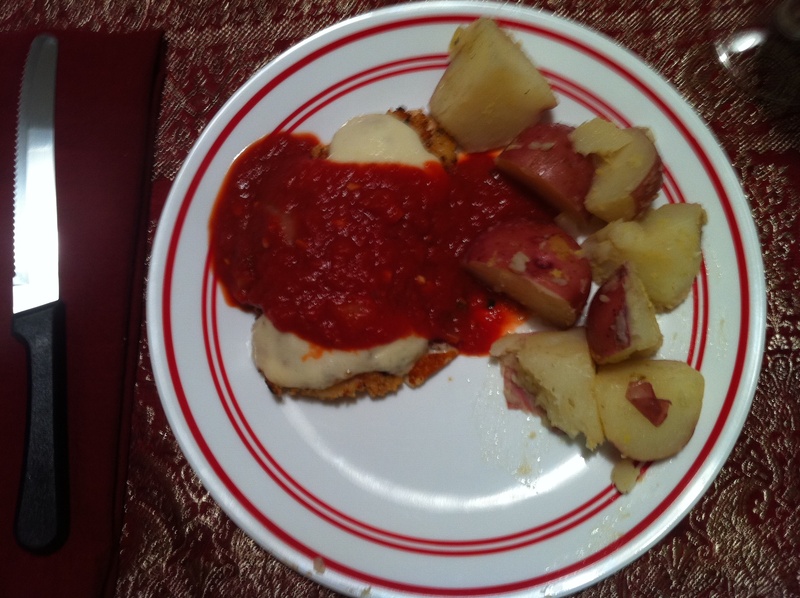 The recipes were good (some a bit touch-and-go), but as usual with the Barefoot Contessa’s help, it was a smashing success! Jolly good time! English Tea comes in three courses, with each paying a compliment towards the next course. The first is savory, followed by the slightly sweeter scones with cream and jam and honey, finishing off with sweets (usually cookies of some kind). This was no different. 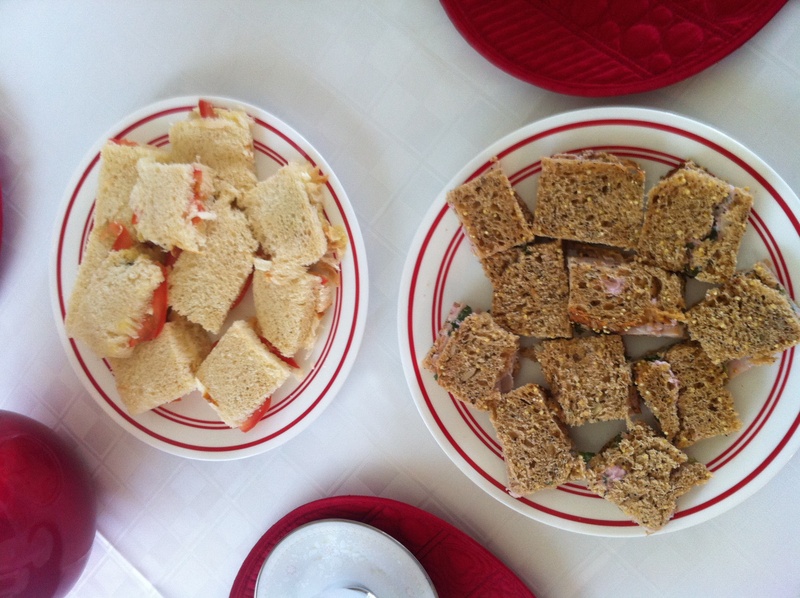 Savory: Turkey Tea Sandwiches and Tomato Tea Sandwiches. Mix cream cheese and chutney together in food processor. 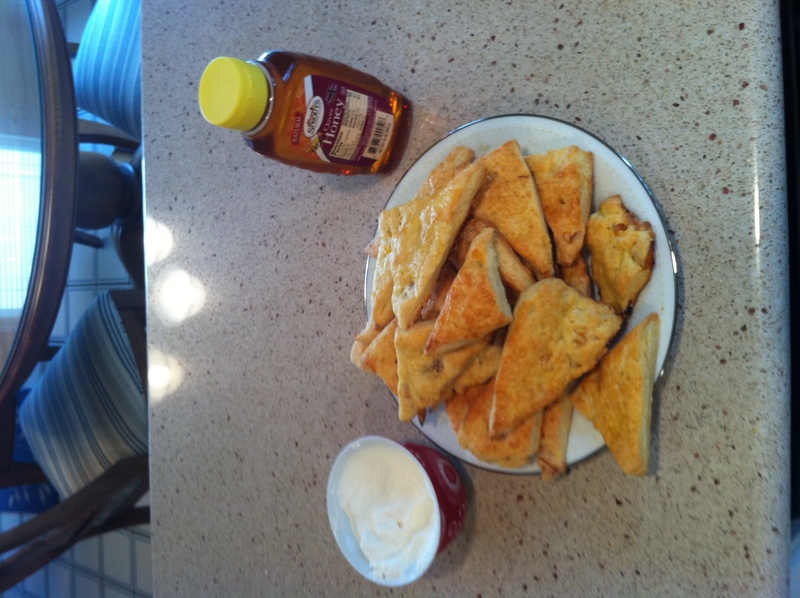 Spread a thick layer of cream cheese mixture over each slice of bread. To half of the bread add a layer of watercress and then slices of turkey. Top with the second half of the bread slices. Cut crust off of each sandwich, then in half and serve. Robby’s Comments – First off, don’t bother cutting the bread long ways and trying to do strips of sandwiches the way most recipes tell you. I had a heck of a time getting the crusts cut off that way. Also, the sandwich would be great if you added cucumbers as well. Also, this was my first time using watercress and won’t be the last. It has a mild peppery flavor and I really thought it wasn’t as overpowering as some lettuces can be. Finding it in the store was a pain in the derriere, however! Just so y’all know, it looks like tiny round green leaves and does NOT look like weeds (as I discovered in the check-out line at Sprouts). Slice the tomatoes thinly. Combine the butter or cream cheese with the garlic. Apply the spread evenly over one side of each slice of bread, clear to the edges.In a small bowl, stir together the lemon juice, olive oil, pepper and basil. Brush the tomatoes with the olive oil mixture. Arrange the tomatoes atop the spread on 10 pieces of bread. (To keep the tomatoes from slipping, arrange them so that each slice touches a portion of the spread.) Top with the other 10 slices, cut off the crusts, and quarter. Serve immediately. Robby’s Comments – My mom is a tomato nut, so I spent a lengthy period of time searching out tomato tea sandwiches. I was worried about this one, particularly any time raw garlic is eaten…well, raw. I always think my guests are going to spit it out and never return for my food all the while shouting “My MOUTH IS BURNING!!! !” But, alas, it didn’t happen that way. Great recipe The olive oil and lemon mixture was great, gave it a nice tang. For the bread, I used Challah from Whole Foods. Great choice. If you’re not a tomato lover, this would also be good with chicken or mozzarella as well. In the bowl of an electric mixer fitted with a paddle attachment, combine 4 cups of flour, 2 tablespoons sugar, baking powder, and salt. Blend in the cold butter at the lowest speed and mix until the butter is in pea-sized pieces. Combine the eggs and heavy cream and quickly add them to the flour and butter mixture. Combine until just blended. Toss the strawberries with 1 tablespoon of flour, add them to the dough, and mix quickly. The dough may be a bit sticky. Brush the tops with egg wash. Sprinkle with sugar and bake for 20 to 25 minutes, until the outsides are crisp and the insides are fully baked. Robby’s Comments – First of all, this dough is not a “bit” sticky, it’s REALLY sticky. But other than that it was a perfect recipe. I sub’d dried apricots for strawberries and it did the trick. I personally like more fruit than this, so I’d add more if you’re like me. However, my dad and brother loved them the way they are. Any sort of dried fruit will work in this flawless recipe (hardly shocking for the Barefoot Contessa). Robby’s Comments – This was the hit of the day. Everyone raved about this stuff. Sure, it’s not 100% authentic, but it is like amazing stuff. And went great with the crumbly, not-so-sweet scones. Also, super easy to make and didn’t lose its texture over night. I made it last night and my girlfriend was worried it would deflate (as was I). But it survived and performed like a champ! It’s like crack for the culinary mind (well, without the rotting and turning to a life of crime part). Robby’s Comments – First of all, I just rolled these suckers out and took my sharp knife and cut them into “finger-like lengths.” I didn’t invest in a “finger-shaped” cookie-cutter. However, that lapse in following instructions aside, this recipe was golden. The dough is very brittle though, so don’t freak out and think you’ve messed it up after it chills. Just make peace that it’s going to crumble and not every small ounce of dough will be used. Also, make sure to bake these on the top rack and for just about 20 minutes. They are thin, so watch them carefully starting about minute 18. Once the edges are slightly browned, get them out of the oven. Because once they are all brown–not so edible…as Batch #2 revealed. Robby’s Comments – Funny story about how sometimes I’m a moron. So I made the lemon-sugar mixture significantly before I made the curds. So when it came time to actually finish this recipe, I added the lemon juice, butter, eggs, and JUST SUGAR and mixed it all up. Then I read the third paragraph and thought (when do I add this lemon-sugar mixture). uhh…Moron, you should’ve already done that and not added another cup and a half of sugar. Soooo…that mixture went down the drain and I started all over again. 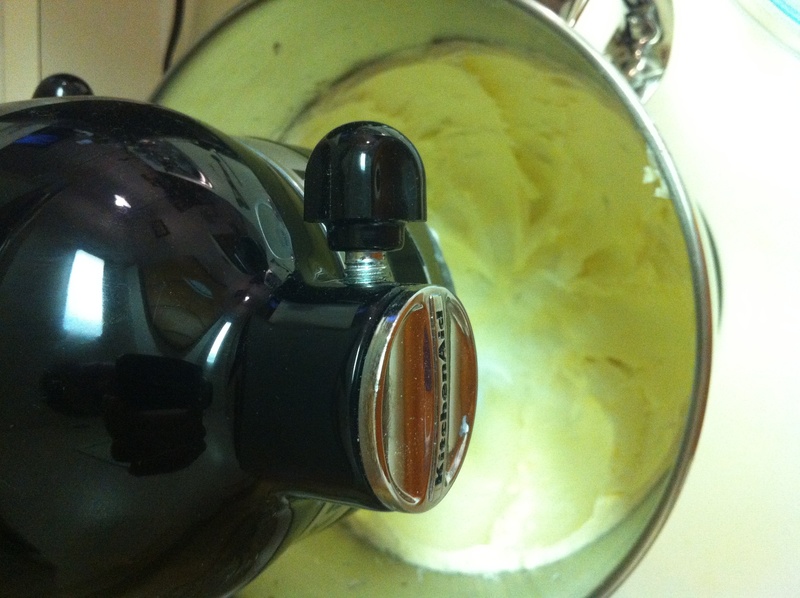 The MVP award really goes to my mixer for today, he worked some serious over-time. Anyway, back to the recipe. My mom has been asking me to make lemon curds for weeks, so I thought this was the perfect chance to give it a go. This recipe went great, but it look me a lot longer than 10 minutes for the mixture to thicken. I follow Ina’s recipes religiously, so I would never dare turn up the eat in a panic (and I didn’t here). But I did have to cook it longer. Stoves and ovens vary, so don’t wig out, be patient. It will eventually get that jelly, Marie Callendar’s-lemon meringue pie consistency. Just be patient (and keep stirring!!). This was also a hit, but VERY lemon-y. Add about 3 tbs olive oil to large heavy bottom pot. Add in onions and cook for approx 10-mins until translucent. Add tomato sauce, chopped tomatoes, tomato paste, basil and thyme. She was almost 101 years old. As a little kid, she was the ideal “great-grandmother.” But our true “bonding experiences” were things that most people would not even give a second thought. We’d crack open a box of Duncan Hines and make what I thought was the best “cake from scratch.” I’d grease the pan, get to mix everything with a big wooden spoon, and then….the best part: lick the spoon (Mom never let us lick the spoon, but Grandma Brown did). Those moments were pure excitement and joy for me. So I decided a few days later after she passed: I was going to make her proud. I hadn’t seriously cooked since I was that little kid. I decided I was going to make a commitment to cooking with the best ingredients, from scratch. In a way, every time I open that refrigerator, walk through the grocery store, or crack those eggs (this was her job, I didn’t get to until I was older)–she’s there with me. She was that inspiration. Inspiration to do something completely different. Outside my comfort zone. My parents inspired me to go to college, law school, and succeed professionally. But Grandma Brown, and later Grandma Franks (her daughter and my grandmother), inspired me to think about the world in a different way as well. To remember my roots, who we were, and where we came from. People from the Oklahoma prairie who headed west. Who made everything they had, cooked smart, and worked hard. This multi-faceted life experience has led me to be what I am today. I’m a lawyer by day. I work with kids and prosecute those who hurt others and try to make the world a better place. After work, I honor tradition and try to return to a world that seems lost. One where families sat down over dinner that was made from scratch, with fresh ingredients, and meant to make you feel warm and cared for inside and out. I look forward to you joining me on this journey and hope you will feel inspired to do what I did–go deep inside yourself and reignite that childhood passion. Can't take the suspense of a new post?? Well, then click to subscribe to Culinary Counsel and receive notifications of new posts by email!